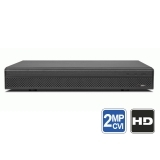 HDCVI is a new camera technology that allows 720P or 1080P video signals to be transmitted over solid copper conductor coaxial RG59U cable or better. 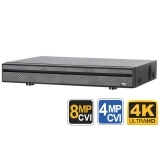 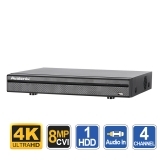 The HDCVI cameras and DVR recorders are also inexpensive when compared to IP cameras. 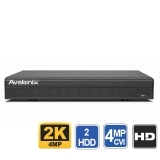 For customers with existing CCTV systems, chances are they are using coaxial cable already and upgrading to a HDCVI system for high definition video makes more sense as it saves tremendous costs of re-running wiring and equipment cost is also lower. 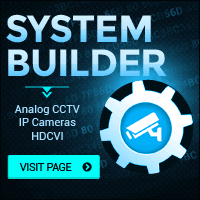 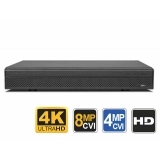 For customer looking for new HD camera systems, HDCVI is a great lower cost alternative to IP network cameras, and is also simpler to install as it is plug & play and requires no network configuration for each camera as in the case of IP, which is a common hurdle for many users who are not familiar with networking.